Opa loves Oma's Banana Bread; however, there never seems to be enough ripe bananas available. This tip will cure that issue! 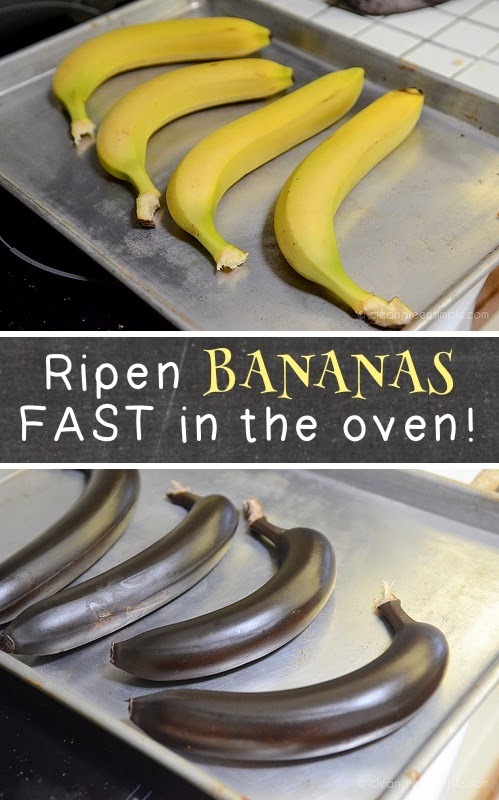 Baking firm, yellow bananas in a 300°F oven for 40 minutes to make them softer and sweeter and ready for baking. Labels: Healthy Food, Oma Loves U!